Our customized solution benefits both your organization and the clients you serve. We design our solution based on your specific services provided which ensures that less hours will be spent on documentation, allowing you to focus on better outcomes for your clients. Unlike generalized EHR and EMR systems, Lauris Online has been designed to specifically meet the needs of the clinician and counseling service industries. 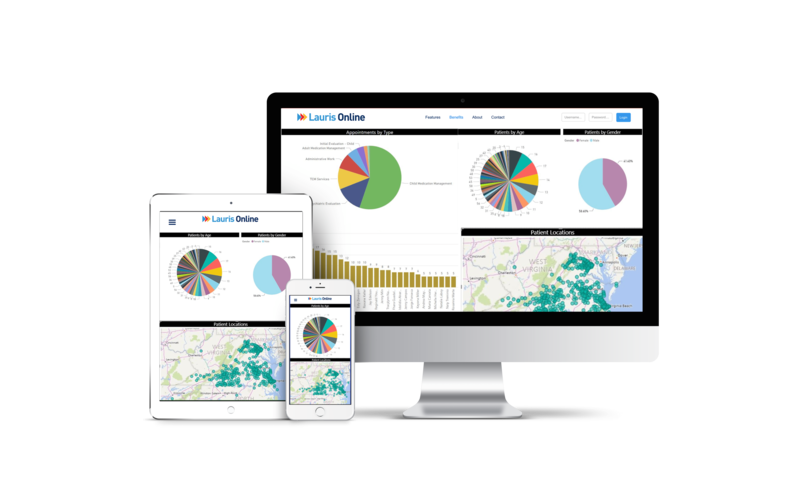 Using the Lauris Online automated system will optimize your organization's service delivery and information management processes. This system gives your organization the ability to automate your workflow and manage all aspects of treating your clients. "This EHR Module is 2014 Edition compliant and has been certified by an ONC-ACB in accordance with the applicable certification criteria adopted by the Secretary of the U.S. Department of Health and Human Services. This certification does not represent an endorsement by the U.S Department of Health and Human Services."